It is with great sorrow that Greater Phoenix Leadership (GPL) announces the passing of our board member and Emeritus member, John J. Bouma. Bouma has been a member of GPL since 1998 and has left an indelible mark on our organization. 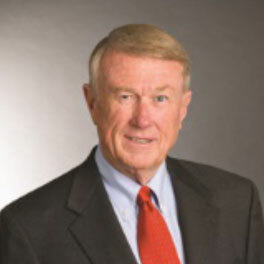 Bouma served as Chair of Snell & Wilmer LLP, after joining the firm in 1962, and concentrated his practice in business litigation, antitrust and professional liability defense. Bouma served on several boards, including: the National Conference of Bar Presidents, the Arizona Association of Defense Counsel, the American Bar Association Board of Governors, the Phoenix Art Museum, the Arizona Opera, and was a Fellow in the American College of Trail Lawyers. Bouma graduated from the University of Iowa College of Law. Bouma had a passion for the outdoors and his love of fly-fishing was well known. The GPL Board of Directors and members extend their deepest condolences to the Bouma family.